ShalaSamsara is a peaceful Yoga space with view on the Schelde, located in Bornem, one of the greenest village of Belgium. It accommodates a max. of 16 yogi(ni)’s on the top floor of the house, allowing a quite and beautiful Yoga experience. We come to ShalaSamsara to empower ourselves physically, emotionally, mentally and energetically. We come to restore balance to life when things get difficult. We come to ShalaSamsara when we feel the need to reconnect with ourselves and with the world around us in a healthy and loving way. ShalaSamsara is not a gym, not a scene or a place of competition. ShalaSamsara is a home. 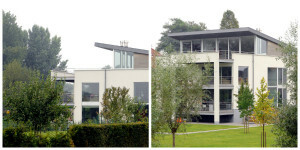 “Shalasamsara in Branst is een schitterende locatie voor yoga. Deze plek straalt rust uit, het stromende water van de Schelde zuivert de energie voortdurend. Het is een ideale en prachtige omgeving om er yogales in te volgen“.